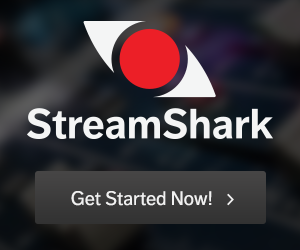 StreamShark is a streaming platform that specialises in ensuring your live streams and on-demand content are flawlessly delivered to websites, intranets and even natively restreamed to social destinations. From All Hands, AGMs, product announcements and everything in between - we are trusted with streaming the live events of some of the largest, high profile companies, brands and VIPs in the world. They depend on StreamShark’s expertise, and leverage our operator friendly workflows and redundant delivery infrastructure to give their audiences an exceptional viewing experience across all major platforms and devices. Architected with unparalleled reliability and elegantly scales to deliver large scale live streams of internal or public events. Enables remote encoder configuration and control of AWS Elemental, Epiphan Pearl/Pearl-2, Teradek VidiU/VidiU Pro and Matrox Monarch Family. Restream to multiple destinations securely with StreamShark's unique permissions management system. We support Okta, OneLogin, GSuite, Active Directory or any SAML 2.0 compatible Identity Provider. Efficient, practical and reliable workflow for reducing load on the corporate bandwidth. Responsive 360º video player, supports 4K 360º.